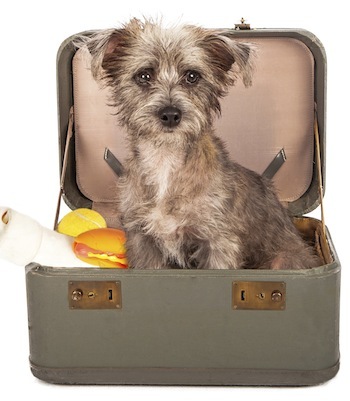 At Pawfection, we understand how difficult it can be to leave your dog behind when you are traveling. If you are going to be away for a long period of time, learn about some dog boarding options, so you can be comfortable with your decision. When it comes to dog boarding, we know that you want only the best for your dog to ensure their happiness and safety. When you are looking into overnight dog boarding places, you will want to make sure that the facility has the amenities and the accommodations you want your pet to receive. Having options to choose from is ideal, as you will want to find the best fit for your dog and for you as the owner. Knowing that your dog is going to be taken care of will give you the comfort and peace of mind you need to enjoy your vacation, business trip, or otherwise. Whether you are leaving for a weekend, a week, or a month, finding dog boarding that allows your dog to interact with other dogs and/or the trainer will be the most beneficial for them. While some overnight boarding facilities keep dogs in kennels for the majority of the time, we are pleased to offer three types of boarding that each allow the dogs to be taken out of their kennels to play and roam around. Are there staff members on the premises 24 hours? What type of accommodations do they offer? How often will my dog be let out of their kennel/room? Do I feel comfortable with the staff/facility? There are two important factors to determine before deciding on a dog boarding facility. With the basic kennel service, dogs have the opportunity to socialize outside in the day care area. If you don’t want them to join the doggie day care, they will have time to play with their personal pet handler 3-4 times a day. This option is similar to the kennel with the opportunity for the dogs to play in the day care or with a trainer, yet with the accommodation of a private room for them to sleep in. This option allows dogs to play in doggie day care all day. The room they will sleep in is shared with up to 5 other dogs, and beds are provided for them to sleep on. Finding the best dog boarding for your pet is important not only for your dog, but for you as an owner. We hope that you have a better understanding of what to expect and what to look for when deciding the type of dog boarding you will feel most comfortable with.